People love to live in Charlotte. Charlotte-Mecklenburg is consistently ranked among the top 10 moving destinations in the United States. Charlotte was also the fourth fastest-growing big city in the country from 2010-2015. The city of Charlotte caters to every type of budget and taste, these neighborhoods, areas and homes offer modern amenities and a prime location in one of the nation’s fastest-growing metropolitan areas. . The maps and descriptions on the links below will acquaint you with the different sections of Mecklenburg County, including areas within Charlotte’s city limits and other towns outside of Charlotte, and within the surrounding counties. Charlotte is the center of the nation’s 18th-largest urban area, with more than 7.1 million people residing within 100 miles of Uptown. As Charlotte has grown and prospered, so have nearby cities and counties. While in some respects they blend together as one metro area, in many ways each city and county retains its distinctive flavor. The official Charlotte metropolitan area includes the Charlotte–Concord–Gastonia MSA (Cabarrus, Chester, Gaston, Iredell, Lancaster, Lincoln, Mecklenburg, Rowan, Union and York counties). More than 170,000 people live in Cabarrus, which is just 20 miles northeast of Uptown Charlotte and is easily accessible by I-85. Concord, the county seat, is one of the state’s fastest-growing cities, with a population of 71,000. Concord is a major tourist destination with Concord Mills and Lowe’s Motor Speedway located just a few miles apart off I-85 exit 49. Just west of Mecklenburg County is Gaston County, known for its history in the textile production and trucking industries. The county celebrates its heritage through a variety of museums, including the Gaston County Museum of Art and History in the original county seat of Dallas, the Schiele Museum of Natural History in Gastonia and the C. Grier Beam Truck Museum in Cherryville. The Daniel Stowe Botanical Garden in Belmont is becoming a major tourist attraction. Gaston County is also home to Belmont Abbey College and the popular holiday tradition of the McAdenville Christmas lights. Each December the village lines its main streets with thousands of colored lights. Visitors come from throughout the region to enjoy the extravaganza. Covering 549 square miles, Lancaster County is 35 miles south of Charlotte. The county, which has an estimated population of more than 70,000, includes Lancaster, Kershaw, Heath Springs and eight townships. The fastest growing area is Indian Land, which is just south of Fort Mill. Andrew Jackson State Park, nine miles north of Lancaster, offers 360 acres of camping, boating, fishing and hiking. Northwest of Mecklenburg County, also on the shores of Lake Norman, is Lincoln County. Because of its location on the western side of the lake, Lincoln County is becoming a hot spot for those who prefer more secluded lakeside living. The county has a population of about 76,000, with Lincolnton, the county seat and largest town, accounting for 10,000 residents. The town has several industries and many historic structures. It also is home to the Lincoln Theater Guild and the Lincolnton Apple Festival, which draws around 80,000 visitors each year. Denver, located in eastern Lincoln County, rests on the western shores of Lake Norman. Denver is a straight shot from Charlotte on N.C. Highway 16, making it easy for office workers to escape to the lake’s charms at day’s end. Agriculture and manufacturing are important industries in the state’s fastest growing county, just southeast of Charlotte. Farms producing livestock, corn, soybeans and cotton exist in harmony with plants turning out textiles, electrical equipment and pharmaceutical capsules. Monroe, named for the fifth U.S. president, James Monroe, is home to more than 40,000 of the county’s 200,000 residents. Waxhaw, at N.C. 16 and N.C. 75, features numerous antique shops. Weddington, on the edge of Mecklenburg County, has become a prosperous suburb of Charlotte. Wingate University, nationally renowned for its international programs, is in Wingate and draws high-powered visitors thanks to the Jesse Helms Library located there. With more than 220,000 people, York County continues to attract newcomers to its South Carolina suburbs. As a result, the city of Rock Hill, with more than 63,000 residents, is now South Carolina’s fourth-largest municipality. Just south of the N.C./S.C. 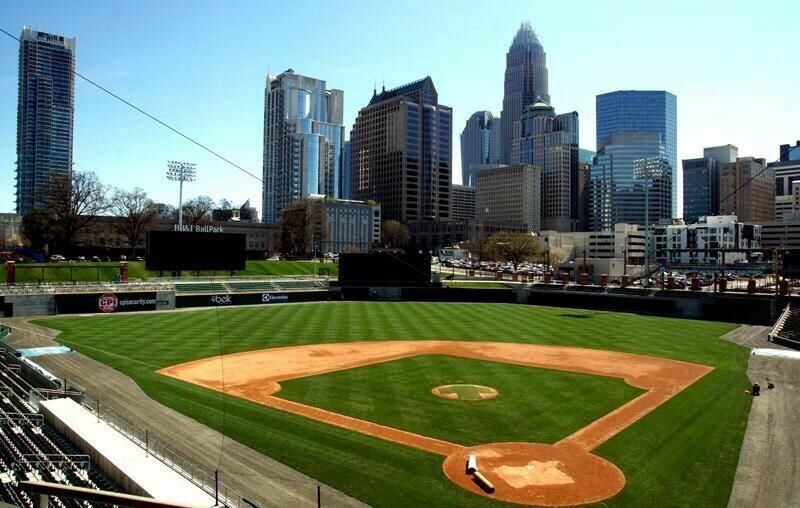 border, Fort Mill is the home of Knights Stadium, the 10,000-seat headquarters for the Charlotte Knights, a Triple-A baseball team. With about 10,000 residents, Fort Mill is a high-growth area, particularly with the addition of Baxter Village, which includes single-family homes and condominiums as well as Baxter Town Center & Village Shops, a mixed-use development of parks, shops and restaurants. Opportunities for post-secondary education in York County include Winthrop University and York Technical College, which provides technical training and two year associate degrees. For a different look at education, visit the Museum of York County, which contains one of the largest displays of African animals and arts in the Southeast. Lake Wylie provides York County plenty of water recreation. Tega Cay, a residential community just west of Fort Mill, boasts 27 holes of championship golf and two waterfront parks. Other standout programs within CMS include Advanced Placement classes, arts education, character education, English as a Second Language, exceptional children, after-school enrichment programs, and a strong emphasis on literacy and science. University of North Carolina at Charlotte-UNC Charlotte is the city's largest university. It is located in University City, the northeastern portion of Charlotte, which is also home to University Research Park, a 3,200 acres research and corporate park. With more than 28,000 students, UNC Charlotte is the third largest university in the state system. 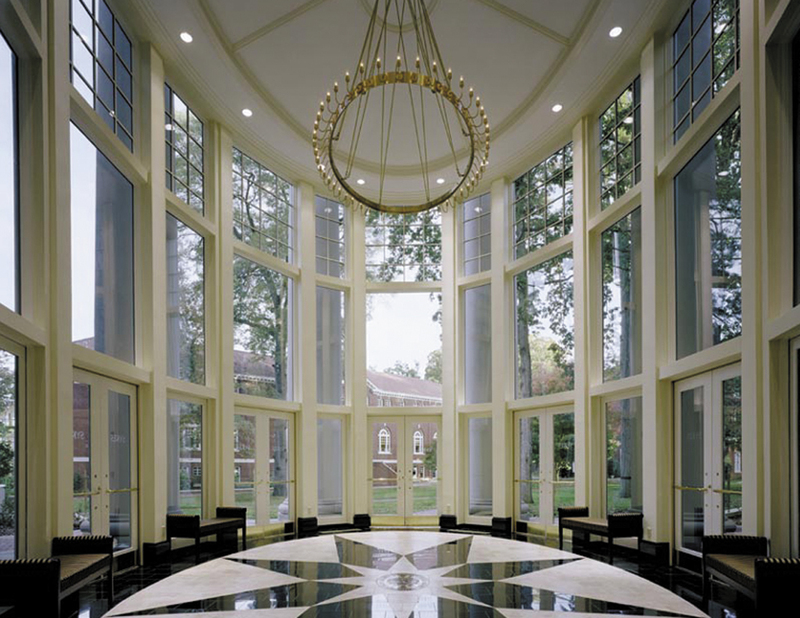 Charlotte School of Law-The Charlotte School of Law opened its doors in Charlotte in 2006 and was fully accredited by the American Bar Association in 2011. Queens University of Charlotte-A private, co-ed, masters-level university, Queens serves undergrad and graduate students in academic programs across the liberal arts and sciences as well as the professional fields of business, communication, nursing, health and education. Wingate University-is an American university based over three campuses in Wingate, Charlotte and Hendersonville, North Carolina. It was founded in 1896. The university offers 35 undergraduate majors, 34 minors, 12 career concentrations and nine pre-professional programs; master’s degrees in accounting, business, education, sport management and physician assistant studies; and doctorates in education, pharmacy and physical therapy. 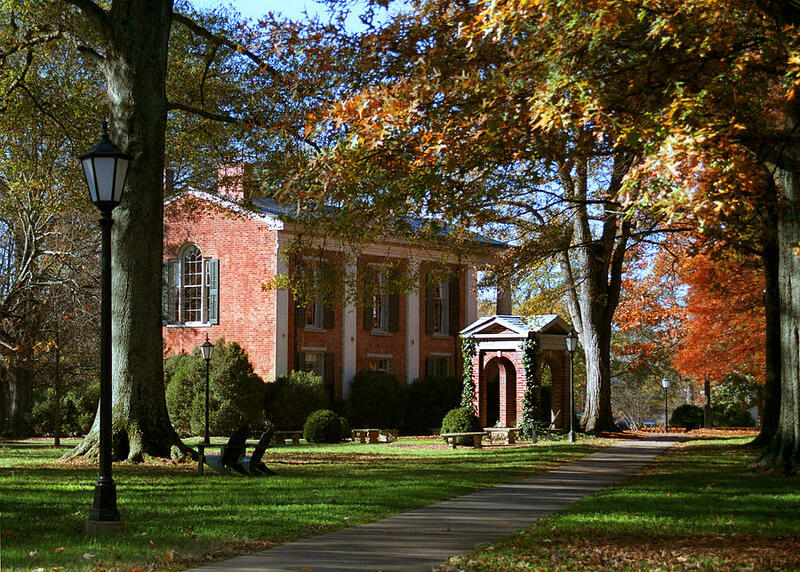 Wingate University's main campus is located in Union County, North Carolina on a 400-acre campus 30 miles east of Charlotte. Central Piedmont Community College-Central Piedmont Community College is the largest community college in the Carolinas, with more than 70,000 students each year and 6 campuses throughout the Charlotte-Mecklenburg region CPCC is part of the statewide North Carolina Community College System. The NASCAR Technical Institute-NASCAR Technical Institute is located in Mooresville, North Carolina - at the heart of racing country. The school provides course work in engine construction, electrical, fuel and lubrication systems, drive trains, body and chassis fabrication and racing theory principles. Students learn the history and rules and regulations of NASCAR, as well as a Pit Crew training program. Charlotte is home to two major professional sports franchises: the Carolina Panthers of the NFL and the Charlotte Hornets of the NBA. 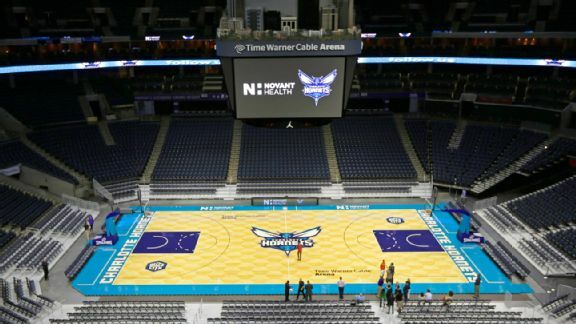 The Panthers have been located in Charlotte since the team's creation in 1995, and the current Hornets franchise has been located in Charlotte since its creation in 2004. The Panthers play their home games in Bank of America Stadium, while the Hornets play in the Spectrum Center. As quickly as Charlotte has grown, so has the area’s public transportation provider, the Charlotte Area Transit System (CATS). CATS serves a six-county region with daily services while also advancing regional transit planning. Serving more than 23 million trips each year, CATS operates bus and light rail, as well as services for the disabled. All CATS vehicles are handicap accessible and contain bicycle storage. The Charlotte Transportation Center, located near the Spectrum Center in uptown Charlotte, serves as the main hub for all radial bus routes and the LYNX Blue Line light rail line. The LYNX Blue Line opened in 2007 as the region’s first light rail service. Running adjacent to South Boulevard, the line runs from the city center to Interstate 485 in the southern part of Mecklenburg County. Its 15 stations vary from walk-up stations to park-and-ride stations with space for as many as 1,100 vehicles. Running every 10 minutes in peak periods, LYNX offers a consistent trip time from the farthest station to the city center. The Blue Line is currently being extended 9.3 miles to northeast Charlotte, terminating at UNC Charlotte. When the line is completed in 2017, the vibrant neighborhoods of South End, Uptown, NoDa and University City will be connected like never before. Ready to Call Charlotte Your New Home, Contact me and I will help you get started. Based on information submitted to the MLS GRID as of 4/22/2019 3:49 PM CST. All data is obtained from various sources and may not have been verified by broker of MLS GRID. Supplied Open House Information is subject to change without notice. All information should be independently reviewed and verified for accuracy. Properties may or may not be listed by the office/agent presenting the information.